For high and/or frequently changing liquid rates as well as for large column sections. 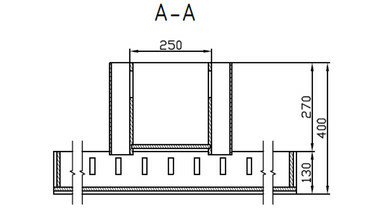 The quantity of distribution channels and the dimension of the drains are adjusted to the liquid rate and the column section. The liquid is lead to the main distributor and forwarded to the sub distributors. 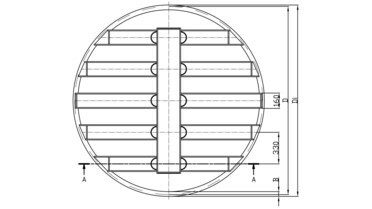 Drain openings in the bottom and the side walls of the channel ensure an even distribution of liquids.